Michael Palin famously remarked, ‘Once the travel bug bites there is no known antidote, and I know that I shall be happily infected until the end of my life.’ This quote aptly sums up the feelings of an avid travel lover. For a true traveller, the charm of life lies in frequent travels, exploring new places and experiencing the beauty of different destinations. India’s contribution to global tourism is also on the rise with more than 14 million Indians travelling overseas every year for various purposes. So if you have been bitten by the travel bug and are a frequent traveller, here are our must-haves that will make your travels smooth and trouble-free. 1. Travel insurance: Opting for travel insurance ensures that you cover yourself against travel risks such as lost or stolen luggage, trip and flight cancellations and most importantly, any unexpected medical emergencies and related costs while travelling. Today travel insurers provide a myriad of policies to choose from which allows travellers to select one that best suits their needs. A good idea is to do a quick search online. This will let you compare and buy a policy that will suit your needs perfectly. 2. E-backup of critical documents: You should always ensure that scanned copies of your essential travel documents, such as your passport, visa, identity proofs etc. are with you for quick and easy access. You can store these on a flash drive or cloud software for immediate access. This not only helps you in establishing your identity and getting the copies of your documents quickly if you have lost the physical copy but also helps during hotel check-ins, local transfer (train/bus) bookings etc. For instance, apps like Passbook allow you compile all your boarding passes, tickets etc. and store them in one place. 3. Travel apps: Travelling no longer involves bumbling through large local maps or relying on (often unreliable) local guides and tour operators. Now you have numerous apps such as Skyscanner, MakeMyTrip and others to help you manage all aspects of your travel from flights to hotels to local transport and much more. 4. Medicines/first aid: You never know when an emergency will strike and it always pays to be prepared for one. Always keep some necessary medication, such as pain relievers, medication for cough/ fever/sore throat etc., band-aids and an antiseptic in your carry on luggage. When the need arises, you won't have to worry about finding a medical store in the middle of the night while in an entirely new city. 5. Power banks/chargers: In today’s world when 24*7 connectivity has become a necessity, it is best to carry your power banks and chargers etc. wherever you travel. In addition to this, when going abroad, it might help to take a travel plug along. Some countries might have flat-pin sockets, in which your regular plug might not fit. So, do your research and figure out what kind of connector you will need to ensure you can charge your devices without any hassle. 6. Credit cards: For most people, credit cards may seem like a bane, but smart travellers intelligently save credit card points to get discounts on flights and accommodation, since most banks have tie-ups with hotels and airlines. Choose a card which offers the most benefits, and you should be able to save quite a bit of money by taking advantage of these offers. An additional benefit of carrying credit cards is that they can come in handy if you face an emergency during your travels and need a more substantial amount of money than initially planned. Experts suggest that you may call or visit your bank branch to inform them about your foreign travel to prevent a transaction from being declined while overseas. 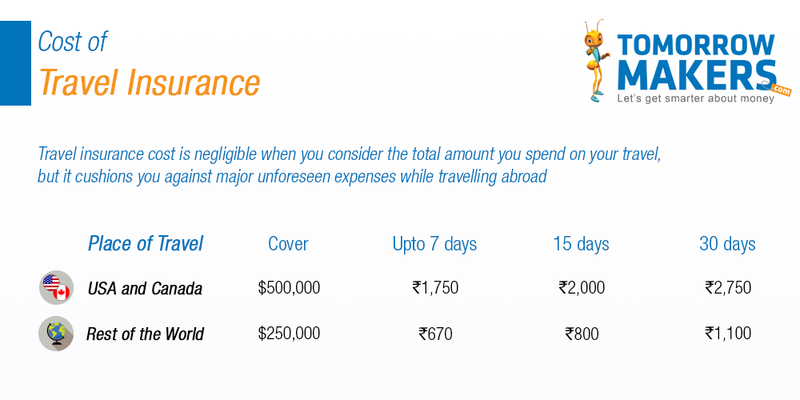 It can also give you an idea of foreign transaction fees that your bank may charge. Knowing these can help you choose a suitable credit card. Some banks also have partner networks that allow their customers to use foreign network ATMs without incurring any fees. 7. Frequent flyer programme: If you travel by flights often, consider joining a frequent flyer programme. 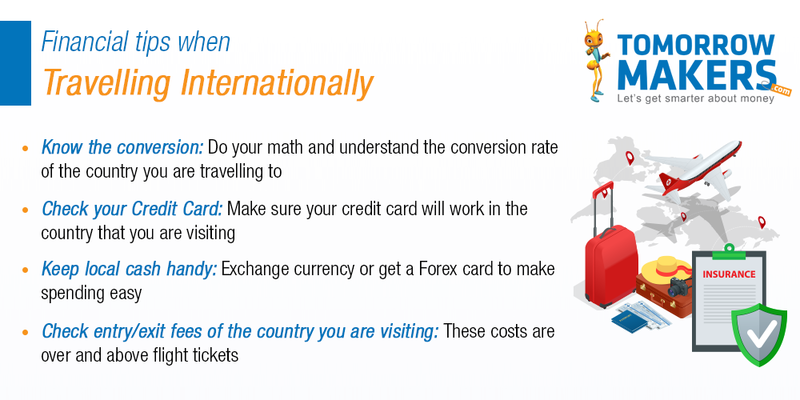 This can be quite useful when planning your holiday trips to get cheaper flights. It is also advisable to browse websites for discounts and coupons on food, travel and even sightseeing to cut down further expenses. Dealing with the paperwork and procedures to obtain a visa is the least exciting part of international travel, but also the most important. If you are a frequent international traveller ensure you conduct diligent research before applying for a visa for any country as regulations can change frequently. Also, plan and initiate visa proceedings well in advance because some embassies may require a longer processing time, and might include tedious tasks such as interviews or additional forms to be filled.In addition to these, some other things that can make travelling more comfortable and hassle-free include carrying noise-cancelling earphones, an e-reader and even instant food (granola bars, oatmeal, instant soups etc.) which will not only satiate hunger cravings but also reduce unnecessary expenses. So whether you are going on a trip for business or pleasure, ensure to tick off these items from your list for a smooth journey.